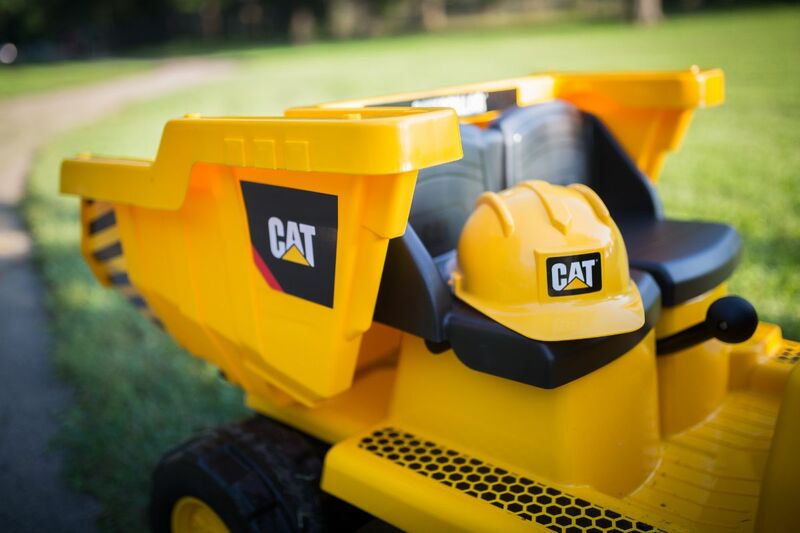 Uh oh, there are boulders blocking the driveway and plants that need transporting… Not to fear, your child turns into a handy construction worker by hopping on the new 12-Volt CAT Mining Dump Truck from Kid Trax! 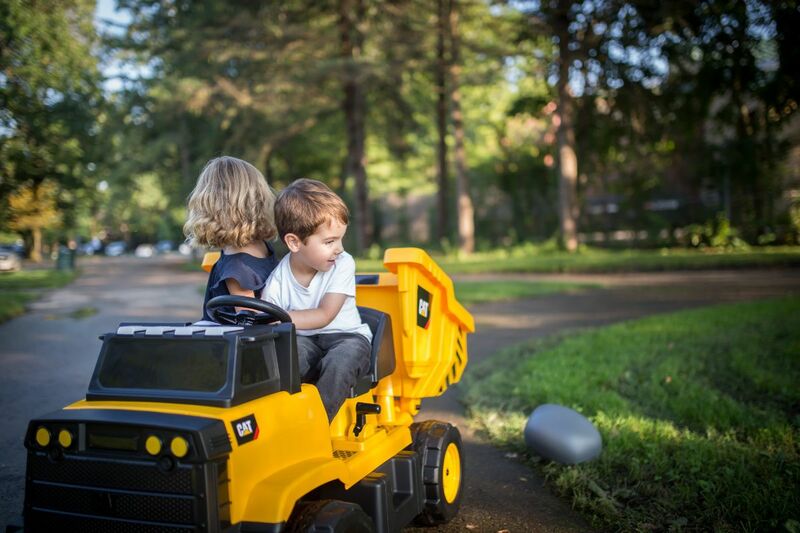 Transform the backyard into a construction site with this fun and functional dump truck, complete with a sturdy, working dump bed for hours of construction fun. The classic yellow and black Caterpillar design makes this authentic replica look just like the real thing! Caterpillar knows safety is key, so we've installed a top speed of 5 MPH and Power Trax rubber traction strip tires for added control. With the included yellow Caterpillar plastic hard hat, 2 plastic boulders, and working lights, CB like communicator, horn, engine and construction-themed sound effects, this set of wheels is sure to please a little construction worker. 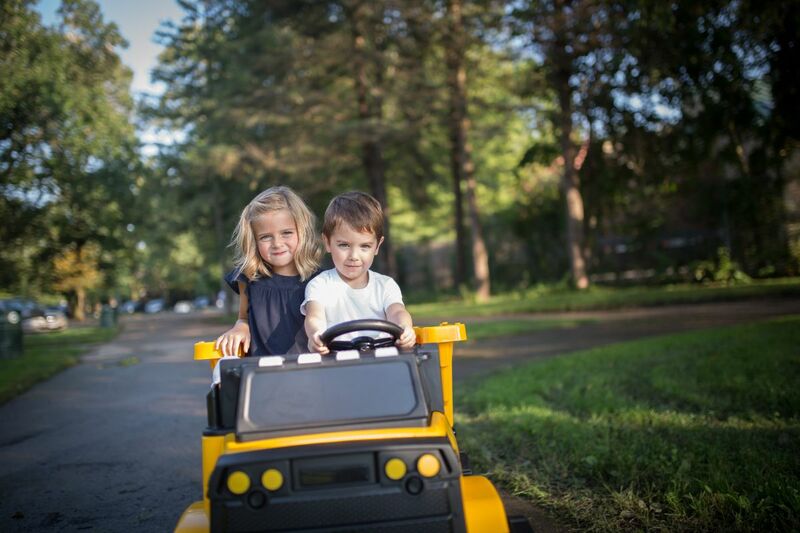 This battery-powered rechargeable dump truck toy is designed for children between ages 3-7 and has a maximum weight limit of 130 lbs. 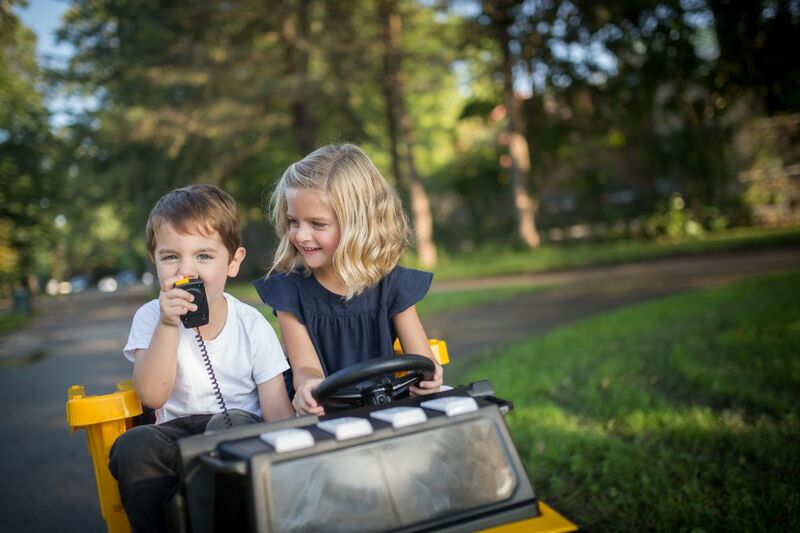 Keep the fun going with the included 12V rechargeable battery and wall charger. There's work to do... what are you waiting for? Authentic cab lights, motor and construction-themed sound effects! Sits two riders between the ages of 3 and 7 with a maximum rider weight of 130 lbs.